Interesting news are coming out of Spain on Sunday evening! 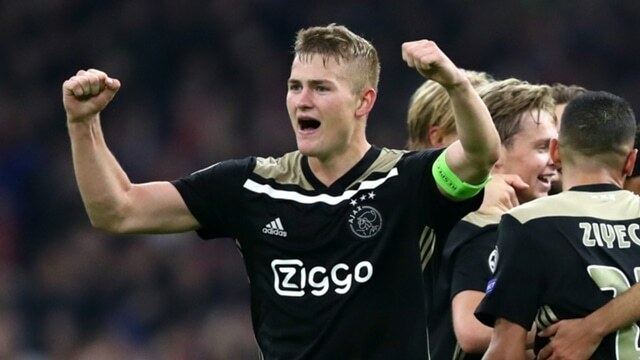 According to Onda Cero, Barcelona president Josep Maria Bartomeu is travelling to Holland to finalise a deal for Matthijs de Ligt! The Dutch are hosts to Germany in a big European derby at the start of the UEFA EURO 2020 qualifiers and De Ligt is in action, but the president of Blaugrana obviously feels confident he will close the deal afterwards. The Catalan club reportedly already offered Ajax £51m for the 19-year old centre-back. Barcelona hope their swift action will be enough to secure his signature before other European clubs, most notably Liverpool and Manchester City. The Merseyside club was thinking of creating a Dutch centre-back partnership with Virgil van Dijk, but it looks like Barcelona will beat them in that race. Barcelona already secured a deal to bring De Ligt’s team-mate Frenkie de Jong to La Liga at the end of the season.